Here are 5 common ways surfers get hurt. Its just common sense that surfing comes with risk and there is a chance of getting hurt both in free surfing and during a surf lesson. At the beach I have seen injuries to surfers ranging from little cuts and stingray stings, to gushing gashes, broken bones and even drownings. All of these these gnarly things are rare, but not impossible. Here are some points to keep in mind for your own safety during your surf lessons. 1. Getting hit by your surfboard. Try not to get hit by your surfboard. By far the most common source of injury is impact with one’s own board. Remember to always fall back and push your board a little toward the shore. Cover your face with your hands when you resurface. Never put your board sideways o the ocean. 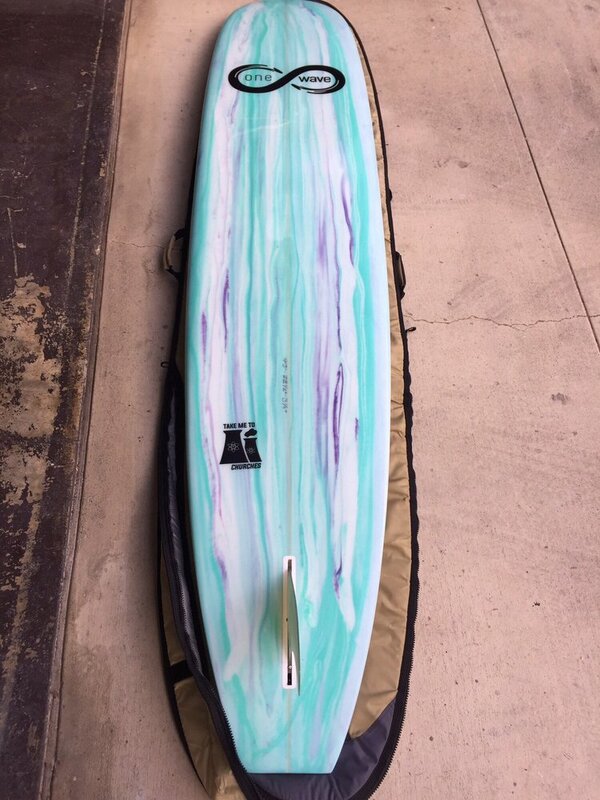 Never let your board loose when a wave is coming. Always watch that board during your surf lesson. 2. Getting hit by another surfer. Try not to get hit by other people in the water or their boards. Pay attention to other people around you. Don’t take a wave someone else is riding near you. 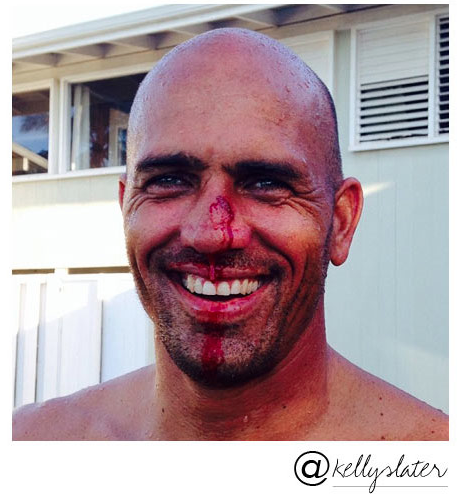 Don’t ever put yourself in front of a surfer riding a wave. Don’t take a wave if you are too close to another surfer and may hit that person. If possible, hold onto your surfboard tight at all times, just as other surfers should hold onto theirs. Remember that a loose surfboard can travel fast and has a lot of range. 3. Riding your board too close to the shore. Riding a wave is the pinnacle of fun, it’s as if you are walking on water. So, it makes sense that people forget this rule: Get off the board before you near the shore. The closer to shore you get, the shallower the water becomes. If you fall in shallow water there is a greater chance of hitting the ocean floor, hard. Even worse, if you catch your fin on the ocean floor, the surfboard will stop and the rider will be thrown from the board. This is why we remind ever student in writing and during the surf lesson to get off the board well before the shore. 4. Having a leash wrap around you. Don’t grab your board from the leash first. I have seen quite a few broken fingers his way, one of mine included. Be careful with using your leash to recover your board after you fall. Its best just to swim to or walk to your surfboard and put your hands directly on the deck. 5. Tripping on the way to the water. Be careful when you walk with your surfboard. This may seem silly or obvious but tripping on the way to the beach happens, a lot. You are carrying a heavy and awkward surfboard. Maybe you are in a new tight fitting wetsuit for the first time. Maybe you are dragging your leash. Maybe you have to make it from from the parking lot, down stairs, across slippery paths, and finally navigate rocks or unstable sand to get into the water. Take your time. Watch your step. Pay attention. As humans, the ocean is not our natural element. In 15 years teaching at the beach, I have preformed seven water rescues and believe each one could have resulted in death had I not been there. By taking a surf lesson with One Wave Surf, we are in no way garnering you safety from injury as we do not have control over the ocean. However, we do use common sense practice and equipment regarded by the surf community as safer for teaching. Even better, One Wave Surf teaches each student how to use common sense ocean and water safety fundamentals in order to reduce the chance of injury, during their lesson or in their future of ocean sports.